When i first found this pack and saw that tinker's construct was in it i thought 'oh that sounds amazing.' but now that ive gotten to steel and made the forge station ive been severely disappointed. I decided i want to make my life easier so the first thing i made was a bismuth bronze hammer. with F3+h on i can see that it only has 100 durability that already made me quite sad but i thought oh its for balancing purposes. 1 ingot bismuth bronze for a 1k dura pickaxe that is affected by smithing bonus vs 26 ingots for a 100 dura hammer without smithing bonus so essentially it can break 100-900 blocks. at this point im thinking the balancing here is that you can easily repair the hammer in the tinker station. sadly nope thats not a thing. so it is actually 26 ingots for effectively 900 dura at best. then i think maybe its just not meant for bronze so i make a steel hammer. It doesnt even work! i assume because steel is oreDictionary-ed that theres a conflict so it straight up cant break tfc blocks. so then i see in NEI that theres a black steel hammer i can make. i make one and to my disgust 26 black steel ingots for 100 dura. so now i wonder if you cant make any of the basic tinker tools ie shovel pickaxe hoe etc. and the advanced stuff are effectively useless, whats the point of having tinkers in the pack? Sorry, but "F3+H" doesn't show the correct durability value of the Tinkers' tools. Repairability will be added later. How do I make a server so my friends and I can play together? That is sad :( Glad you tried tho! the TFC world no longer works on my download. like the world no longer loads, meanwhile three minutes ago it was just working, the game also I've noticed, suddenly comes through a very big very harsh studder that lasts almost a half an hour then it goes back to being normal but I can't pick anything up. or drop anything. like *has knife in hand, smacks grass with knife, grass disappears but no thatch is dropped at all* and yes it was grass and I don't know where to post this. if you could help, that would be wonderful cause I feel like the nei and the journey map in this pack makes terrafirma a little easier, I haven't gotten to much anything else in game because I just started using the modpack. also is there anywhere off of twitch that I could download this? because I rarely play Minecraft unless my internet goes down, then i'll play it until it goes back up. like into multimc or its own set app launcher kinda thing? Edit: Yes I uninstalled and reinstalled the pack, I even deleted the files by hand off my computer and that didn't work either. Stuttering can be due to insufficient memory allocated to the game, or just a very poor performing CPU & GPU. The reason why items don't drop when certain blocks are destroyed is due to server latency - yes, singleplayer is not actually singleplayer, but a local server you play on, regardless of modpack, Minecraft version and what not. A way to help combat the server latency would be by either removing certain mods that alter the world generation, installing OptiFine, or just getting better performing computer components. There's really no other way to fix this. Blame TFC & Minecraft 1.7.10 for being badly optimized regarding chunk loading. Perhaps you also have a bunch of other programs running in the background? Also, how long did you wait for the world to load? With TerraFirmaCraft worlds takes longer to load hence the increased world height. I'm not sure what you said about JourneyMap & Not Enough Items. They are already in the modpack, but if you prefer to play without, then you can simply disable them. What do you do with grain and such? I can't cut it with a knife anymore, it just splits the "stack"
Take a look at this page: Cooking with TFC. There's a wiki there, which should tell you what you need to know. It's wonderful that this pack is still being maintained so far down the line! Quick question, what do I need to download to host a tech version of the server? The one that isn't labeled No Tech doesn't have the Tech mods in it. You'll need to remove or disable the client-side mods on the server; for example, removing mods like Damage Indicators. You don't need to remove client-side mods on your client, in order to be able to play on the server. Everything else is like setting up any other Forge server. Hey there! Been enjoying the mod-pack, but I have one real question. Did you add a recipe/method to create psych-craft worts for brewing in TFC? Obviously the ones in the original won't work because of all the different forms of food in TFC, but it seems a little pointless to include Psychedelicraft if 50% of the receipes don't work. That said, the original recipes do seem to have been removed as they can't be made with spawned in items, so I was wondering if you'd changed them, and if so, what's the new method? 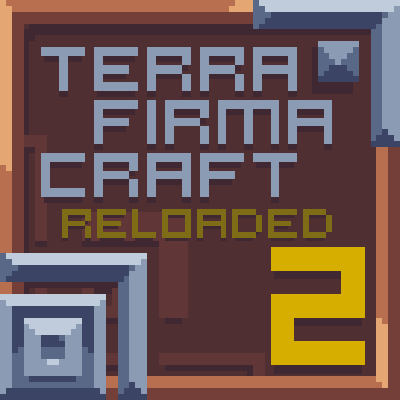 "mods.Terrafirmacraft.ItemHeat.addRecipe" means it needs to be inserted into for example a fireplace or forge. Im trying to get the this to work on a server and when i download the server there is no jar to be ran and when i download the normal on for the user it never starts on the server and give a few errors and never a start i left it alone for about a hour and it did nothing can someone help me with this me and my friends wanted to play with this and we cant.